And what’s more, the harder you try to hold on to it, the more likely it is to vanish faster than a gambler’s lucky streak. Because, whether good luck or misfortune, it is not a thing; most often, it’s the label we put on something that has already happened. So, assuming that we all would prefer good luck to the opposite, what is this thing called luck? The following might give us some real insight a real-life story about creating your own luck, be seeing opportunity in problems, and by expanding into the demand. 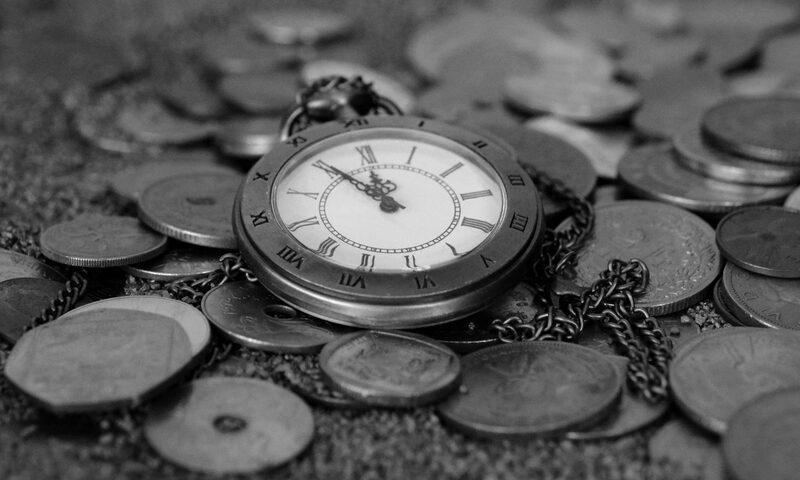 As the story goes, if you were in the market for a pocket watch in 1880, where would you get one? If you wanted the best watch, you went to the train station. This is because the station agents were also skilled telegraph operators, which was the primary method of communication with the railroad stations in those days. Of course, they had to know precisely when trains left the previous station and when they were due at their next station, so the telegraph operators had to have the best watches. A man named Richard, a telegraph operator himself, was one who could see opportunity where others only saw a problem. He was on duty in the North Redwood, Minnesota train station one day when a load of watches arrived from the East. It was a huge crate of pocket watches but no one ever came to claim them. So Richard sent a telegram to the manufacturer and asked them what they wanted to do with the watches. The manufacturer didn’t want to pay the freight back, so they wired Richard to see if he could sell them. And sell them he did, by sending a wire to every agent in the system asking them if they wanted a cheap, but good, pocket watch. He sold the entire case in less than two days and at a handsome profit. Then things started getting interesting. He ordered more watches from the watch company and encouraged the telegraph operators to set up a display case in the station offering high quality watches for a cheap prices to all the travellers. It didn’t take long for the word to spread and, before long people other than travellers came to the train station to buy watches. Richard became so busy that he had to hire a man named Alvah, a professional watchmaker, to help him with the orders. The business took off and soon expanded to many other lines of dry goods. Richard and Alvah left the train station and moved their company to Chicago — and it’s still there. The name of the company started by Richard Sears and his partner Alvah Roebuck was Sears, Roebuck and Co. From its mail order beginnings, the company grew to become the largest retailer in the United States by the mid-20th century, and its catalogs became world-famous. Where others saw only problems, he saw opportunity and [went] into action to expand into the demand. Sears hasn’t been doing so well lately. Just last month, Sears announced they would be closing 39 Sears stores and 64 Kmart stores. These stores would be closing by April 2018, leaving Sears Holdings with 555 stores. According to MSN money, at this rate, Sears along with sister company Kmart, has an extremely high chance of disappearing and going defunct in 2018. It looks like 2017 may be Sear’s final holiday season as an independent brand. Without getting into it, I’ve reluctantly found myself with a lot more free time than I know what to do with, (a break-up if you must know). I’ve been walking in the coulees to get exercise and on occasion listening to audiobooks and podcasts. Yesterday I took a trip into The States to pick up a package for my brother-in-law and listened to almost all of Forrest Gump, by Winston Groom. It’s the book that inspired the movie, and I use the word inspired loosely because while there are some similarities there are also a lot of unexpected differences. In the book, Forrest is a lot bigger — huge actually, which makes more sense for him as a football star, he’s a savant at math, and many of his adventures are nothing like the movie. For instance, after throwing his medal of honour away and injuring a high level government employee, Forrest finds himself on a low earth orbit crashing toward earth, attacked by cannibals and head-hunters, later becoming a stampede wrestler, a chess champion, and during which time he adopts an escaped NASA orangutang as a drinking buddy. While the differences from the big screen adaptation make it an interesting read, I found the novel to be so outlandish and crazy that I just couldn’t suspend my disbelief. This is one of those rare exceptions that the movie outshines the book. While on my walk yesterday, I was finishing up the book. 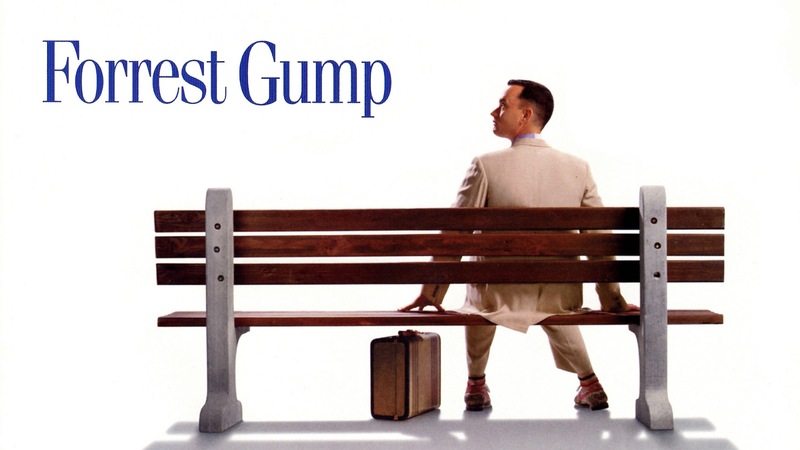 Forrest inadvertently gets into some trouble and as a result Jenny breaks up with him. Although treated poorly for being mentally challenged his whole life, he says that losing Jenny was the first time he really knew what it was like to feel like an idiot. Losing Andrea, I feel like an idiot too. One of my favorite radio shows has been turned into a book. The Age of Persuasion: How Marketing Ate Our Culture is now available in book stores across Canada! Authors Mike Tennant and Terry O’Reilly have known each other for about 20 years; they began their career together making radio shows in 1995 with O’Reilly on Advertising. They’ve followed that up with “The Age of Persuasion” and a book based on that show which hits bookstores today. Last Tuesday I took advantage of an opportunity to talk on the phone with Terry and Mike about the show and their new book “The Age of Persuasion: How Marketing Ate Our Culture”. My questions are in bold text. In preparation for the release of his new book, Outliers, next week, Malcolm Gladwell has published an article, The Uses of Adversity, explaining that sometimes disadvantages come with unexpected advantages. Writing about the piece afterwards, Gladwell expounded the approach that being an outsider, having a disability or coming from a social-economic disadvantage, can sometimes be exactly what one needs to succeed. If dyslexia can—under certain circumstances—be advantageous, what are other disadvantages that can have the same effect? In the article, I mention, in passing, the question of class size, and the data on class size is really quite fascinating. Time and time again studies fail to show any significant advantage to reducing the size of classes—except in the case of very poor children in the very earliest of grades. This, of course, defies common sense. We know that teacher feedback is a big component in learning. So why wouldn’t learning be enhanced by lower teacher: student ratios? One answer might be that large classes are a disadvantage with advantages: that in coping with the difficulty of competing for teacher attention, kids learn something more important—namely self-reliance. This might also explain why the highest achieving schools—those in places like Japan and Korea—tend to have much larger classes than in the United States. Aside from the many, many variables that might make comparing class sizes across nations and cultures difficult, I also wonder if teachers instructing inconsistently large or small classes might not be changing their styles to meet the particular needs of a particular class size. It stands to reason that one would teach a class of 10 quite a bit differently than a class of 30—however it’s also very understandable that teachers tend to teach the same way from lesson to lesson and stick to it—regardless of class size. In this stunning new book, Malcolm Gladwell takes us on an intellectual journey through the world of “outliers”—the best and the brightest, the most famous and the most successful. He asks the question: what makes high-achievers different? His answer is that we pay too much attention to what successful people are like, and too little attention to where they are from: that is, their culture, their family, their generation, and the idiosyncratic experiences of their upbringing. Along the way he explains the secrets of software billionaires, what it takes to be a great soccer player, why Asians are good at math, and what made the Beatles the greatest rock band. Brain Candy — Is pop culture dumbing us down or smartening us up? The Talent Myth — Are smart people overrated? The New-Boy Network — What do job interviews really tell us? 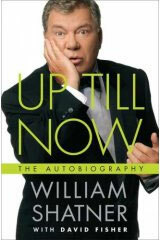 I’ve grown out of my teenage fandom for all things Trek, but I found these excerpts from William Shatner’s new autobiography, Up Till Now, very interesting. They encompass a range of experiences from his time on Star Trek, where he confesses being the colossal jerk of legend, to his poignant recollections of the death of his third wife. I wanted to get the true story out as quickly as possible. In exchange, they contributed $250,000 (£123,000) to what would become the Nerine Shatner Foundation, which helps addicted women. I guess the question asked most often was why did I call 911 before diving into the pool to try to save her? It took me years to fully understand, and even then it was only because of my fourth wife, Elizabeth. Every year on August 9, Elizabeth and I would go up to the pool in the evening. The moon is in the same position, the lights are the same. On one of those nights I suddenly knew. The water in the pool had been still. And somehow I had known that whether I dived in and rescued the body and then called 911, or called 911 and then did so, it would have made no difference. Honestly, I always assumed he killed her, but now I’m not so sure. Either way, I find this kind of bear-all openness, from a legend such as Shatner, riveting. Heather Armstrong, aka Dooce, just announced the release of the new book she’s been putting together, Things I Learned About My Dad (in therapy). It’s a book of essays by several of her good friends (some of whom I read regularly), about fatherhood from the perspective of fathers, wives, daughters and sons. I’ve written two of the 17 essays, one about my father and one about Jon. A few weeks ago I gave my father an advance copy of the book with the hope that he would read what I had written, but I didn’t say anything to him other than HERE IS MY HEART AND SOUL, DO WITH IT WHAT YOU WILL. I found out a week later that he had taken it home and used it to prop up a wobbly toilet. I like to think that I improved his life by those two inches. I’d totally like to pick this one up. Sumo wrestlers are to teachers as real estate agents are to Ku Klux Klan members — or at least these are a couple of ideas put forth by the book I got for Christmas, Freakonomics. The book makes some startling connections between seemingly incongruent situations comparisons. 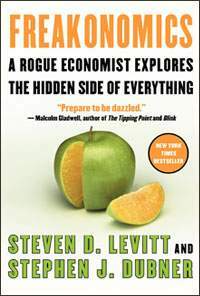 Economist Steven Levitt and journalist/contributor to the New York Times Magazine Stephen Dubner have co-authored this much talked about book from 2005. I’ve been devouring it in my spare time and I’m loving every page. It’s hard to describe exactly what the book is about because the most unifying theme one can identify within it, is that using statistics you can disprove a lot of conventional thinking. I’m just about finished it, but in the meantime I have also been enjoying some of their other writings, both at the Freakonomics Blog and as guest posters on Google’s Blog. I have to wonder, what would Levitt do if he had access to Google’s information? Seems like there is a whole other book there waiting to be written. If you enjoyed my previous recommendation of Blink, by Malcolm Gladwell, then I definately think you should check out Freakonomics. Oh, and if you’re interested, the chapter excerpts will give you a little taste as to how sumo wrestlers are similar to school teachers. I finished the book that Anna left for me to read, “Middlesex” this morning. What a great novel! She sure knows how to pick them. Winner of the Pulitzer Prize and one of the most realistic seeming fictional books I’ve ever encountered, I highly recommend reading Middlesex. As some of you astute readers may remember, I’ve been reading a book online called Down and Out in the Magic Kingdom. I just finished it, and now I’d like to write a little book review. Now I’m going to be quite honest with you (brace yourself, here comes the self deprecation). I’m not exactly an expert on books. I haven’t really read a lot of them. I mean I did read a bunch of Stephen King novels and I occasionally like to pick up this or that to pass the time. But as I said I’m not exactly a literary expert, and to make matters worse my writing ability is mediocre at best. So here it is – the first book report I’ve ever done that wasn’t for grades. Coincidentally I think it’s the first book report that I’ve ever done after having actually read the novel. Ok, enough rambling, it’s time to get down to business. Cory Doctorow’s short novel, “Down and Out in the Magical Kingdom” is set in the future, I’m guessing a couple hundred years. In the future there’s no more scarcity, it’s very Utopian and it’s kind of like Star Trek where you don’t need money to get things. Also, in this world, the people don’t die. They save their identity’s to a backup and when death or illness sets in, somebody does you the favor of restoring you from back-up. There is a lot more sci-fi stuff that I won’t bog you down with now, instead I’ll move on to the meat of the story. Julius, the protagonist, is a cast member at Disney World, (he’s an important one — an Ad Hoc.) The trouble starts to brew when Debra, another Ad Hoc starts making changes to the rides. Julius is worried about her taking over the Haunted Mansion and taking the history out of it by having “scary haunted mansion experiences” pumped straight into your brain instead of the usual way of actually experiencing a scary mansion. I think my philosophy teacher would really dig this. (On a side note I’m thinking of asking him for some design tips, I love the work he’s done). Well I digress. . . Julius has to stop Debra, meanwhile keeping the other Ad Hoc’s and guests happy. Overall I really liked the novel and found myself imagining what life would be like if I lived in Doctorow’s world. “Down and Out in the Magic Kingdom” was fun, cheap, and best of all it only took a few hours to read (it’s just 10 small chapters). Now you can see why I could never break 78% in English class. Maybe I can plagerize a better review from Amazon.com. I guess I was never meant to be a writer. What am I going to do now? Well I’d like to go to Disneyland, but instead I think I’ll go home and get some lunch.